Have you published a pretty awesome app, but are struggling to get reviews and ratings for your apps? Worse still, are you getting negative reviews and ratings for your apps? The mobile apps business is pretty complex. Its not a "build it and they will come" like it used to be. There is the app store optimization to take care of. And then there is the app marketing and promotion to work out. Don't forget the app development and publishing process itself. One important aspect that many developers tend to miss out on is reviews and ratings optimization. Are you one of these developers? If you are, you may be missing out on one of the most important marketing machine your app has. Why you need higher ratings and better reviews for your apps? Reviews and ratings are powerful promotional tools for your apps. Studies have shown that word of mouth is currently the most preferred form of review of users. People tend to believe and listen to what their friends and families say. Also remember, unhappy users are more likely to leave a (negative) feedback than happy users are to leave a positive feedback. Somehow users just need to let out when they are not happy. Here are some benefits a more positive review and ratings strategy can have on your mobile apps and games. If you only need 1 reason to look at reviews and ratings optimization, this is it! With app discovery being the biggest issue, reviews can help you better rank for certain keywords when it relates to your app. Take the example when you search for "Super Mario" in the Play Store. Do note that there is no Super Mario mobile game available legally in the Play Store. But we get a bunch of results. Lets take a look at the game "Lep's World 3". Now, this game is pretty well done, and nowhere in their description or title have the developers used the term "Super Mario". Yet this game comes up for that term because there are so many reviews of it where the users have used that term. When someone you know provides a positive review and rating, it gives you more confidence in the product. This in turn gives a higher chance that you might also acquire that product. When your friend clicks the +1 button of an app, their action is shown when other games and recommendations are prepared for you. Your friend's +1 ratings are also shown when you look at the app's page. This too further builds your confidence in the app, this which we call the power of word of mouth. When you reply to issues or critical reviews, you establish yourself as a respected app developer or app development company. Taking user feedback seriously makes you look good in the eyes of potential new users. It also gives existing users a better confidence in your brand when you do this, and in turn will further explore what you have to offer. A review and rating also acts as a testimonial of your app. It tells whether your app is really living up to what its promised, it highlights the benefits and strengths of your app, and it also shows its shortcomings. And these showing of shortcomings is what you want to reduce. How to ensure the app review and rating is positive? 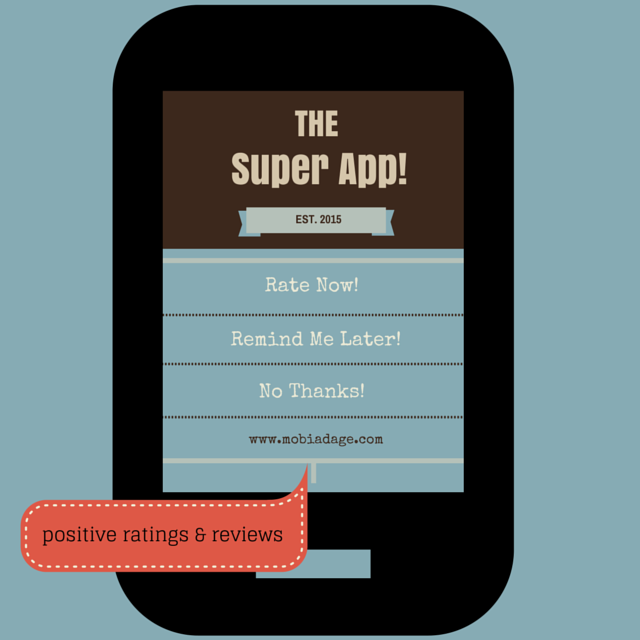 The following are 3 ideas on how you can get more positive reviews and ratings for your apps. 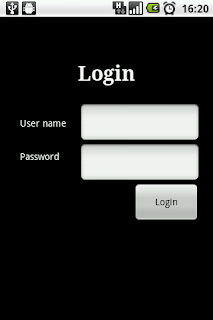 A user of your app is considered a loyal user when he/she runs your app a few times. This is a great sign that they are enjoying your app and finding it useful or entertaining, and probably you could get a positive feedback from them. What's the optimal value for X? That's for you to define. For me, I'll probably get it over 3 usages before requesting feedback. You should not put a very high number either, as app lifespan on your users' devices is very very short. You want that positive feedback before they leave your app. Get some feedback from your family and friends for your app. Remember, you want an honest (but preferably positive) review and rating from them. It's really a turn off for me when I see an app that has less than a hundred downloads, but having all 66 ratings as a five star one. This is definitely a sign of faking, and you don't want a wrong spotlight headed towards you by Google. This is why you should ask for an honest review from your users. Don't worry about 5 stars here. Initial reviews will help show some stability of your app. A word of caution: Do ask your family and friends to leave your app on their devices for a few days before uninstalling. I've often come across fellow developers whose app tanked down after the initial boost by the downloads and ratings because all those who installed the app have uninstalled it. It's a pretty negative ranking optimization. This is probably the best way for you to get positive feedback from users, especially for your games. Users emotional state is at the best when they are happy. Having successfully completed a level, users are more likely to give a positive and constructive feedback. Do note to not interrupt your app usage to ask for reviews. There are many apps that just pop-up a dialog asking for reviews and ratings, that it spoils the flow of the app's usage. This is much worse when it is a game. So, what's the best way to get a positive 5-star rating and review for your app? Just forcing or begging a user to review your app is just not the way to do it anymore. If you were to ask a use for a review of your app this way, even when a user likes using your app, you are potentially spoiling their experience, and thus might get a negative review. What you need to do if filter your user's feedback before heading to the store. This "trick" was made notorious by EA's Dungeon Keeper game. In that game, users would be asked how many stars they would rate the game with, and if it was anything less than a 5-star rating, the user would be directed to email EA their feedback. A 5-star rating would bring the user to the store for rating it there. You can apply the same mechanism in your apps. The best way to get a review is first asking if they enjoy using your app. If the answer is a yes, then ask if they would mind leaving a rating and review on the store. Give the users options to be reminded later and also for not asking a rating again. This way, the feedback from happy users will increase. And that is what you want from your app users, happier positive ratings and reviews. Another method to direct users to a 5-star rating is by using an image that shows 5 stars in the dialog before sending the users to the stores. This idea is hopefully to influence the user's decision. Its the same concept that politicians use during elections, where they show their ballot logos with a check mark beside it. Its to influence people's decisions. Avoid giving incentives to rate your app higher. This is against Google's policy, and may result in your app getting suspended. By the way, Have you signed the petition for a fairer Google? Reviews and ratings do influence your app in many ways, from whether users will download your app, to the image it projects of your company, to app discovery. Play it right and get better reviews and rating for your apps. What's you opinion on getting reviews and ratings for your apps? Have you got other tricks up your sleeve? Do you find the rating filtering idea unethical? Share it below!